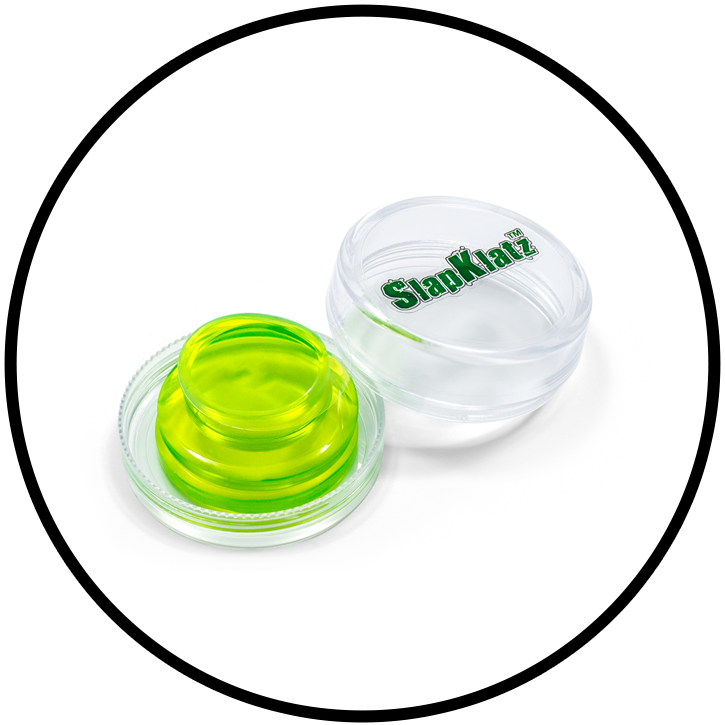 SlapKlatz Clear was the first "invisible damper gel” on the market. For us it was quite obvious that drummers needed an (almost) invisible damper solution to control and dampen their drums. 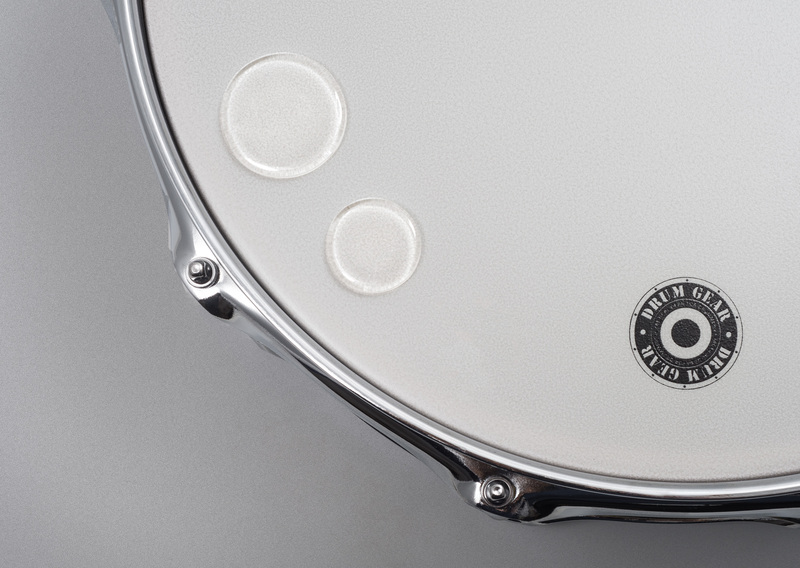 With SlapKlatz Clear, drummers got just that. 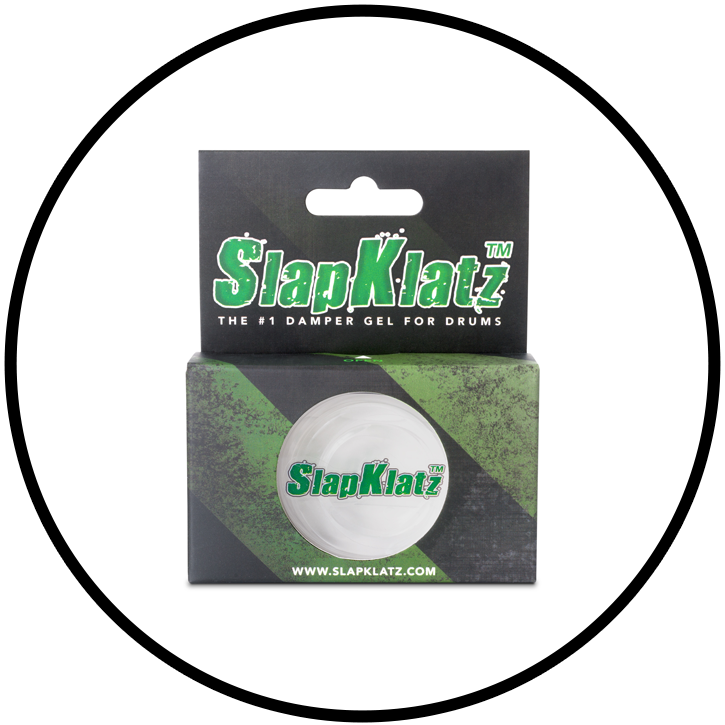 SlapKlatz is made from a very sticky material which enables them to not only dampen your batter heads, but also your resonance heads as well as the underside of your cymbals. This makes the versatility of this product almost endless. As a side note: You can also use these clear gels as a bumper. 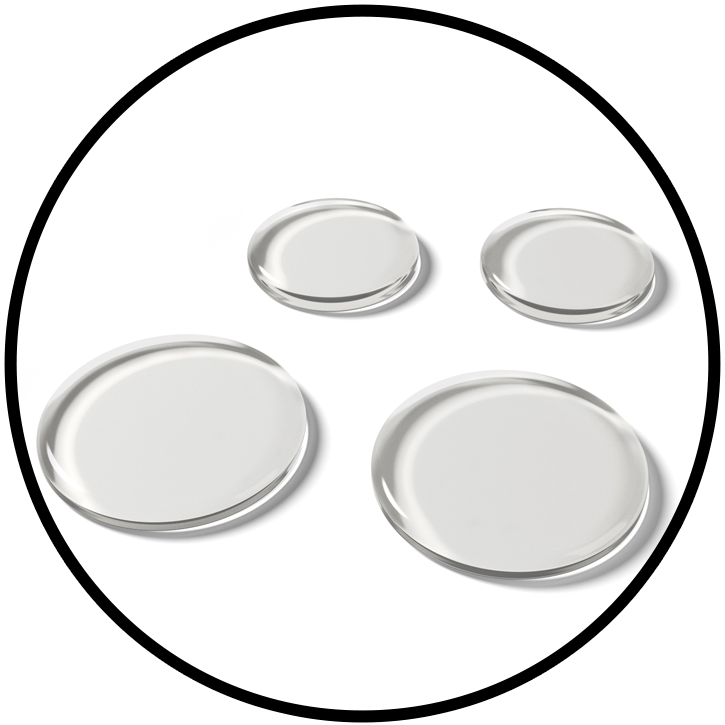 If one drum is too close to another drum - or hardware - just “slap on” a gel pad on the area in danger. Read our guide on how to use SlapKlatz here. 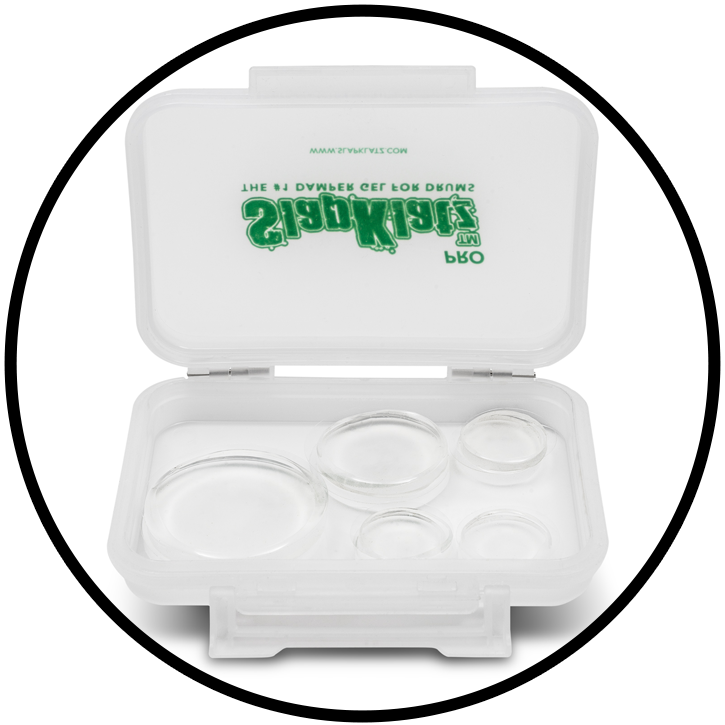 Read customer reviews for SlapKlatz Clear here. 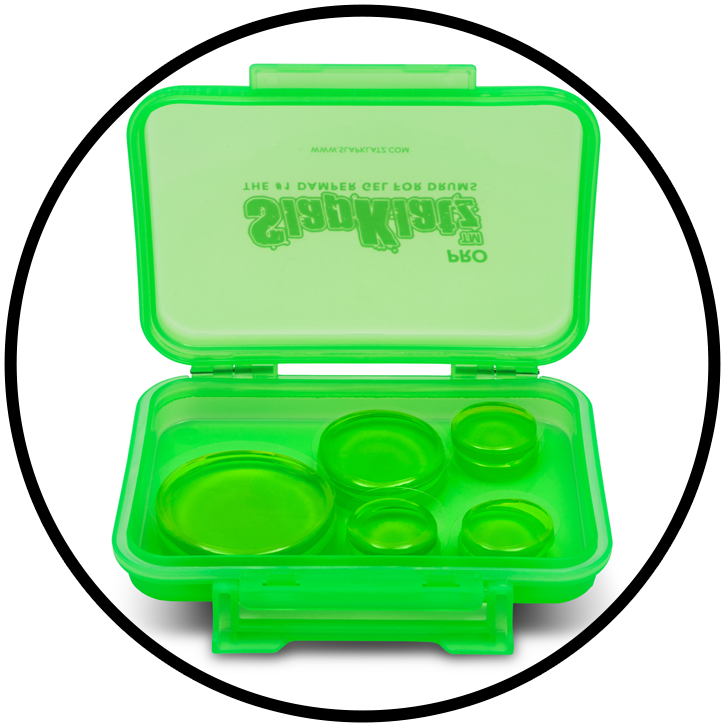 US customers can buy SlapKlatz Clear on Amazon.com. Other countries - find your distributor here. I used to think all gel dampeners were the same, but these are much better. 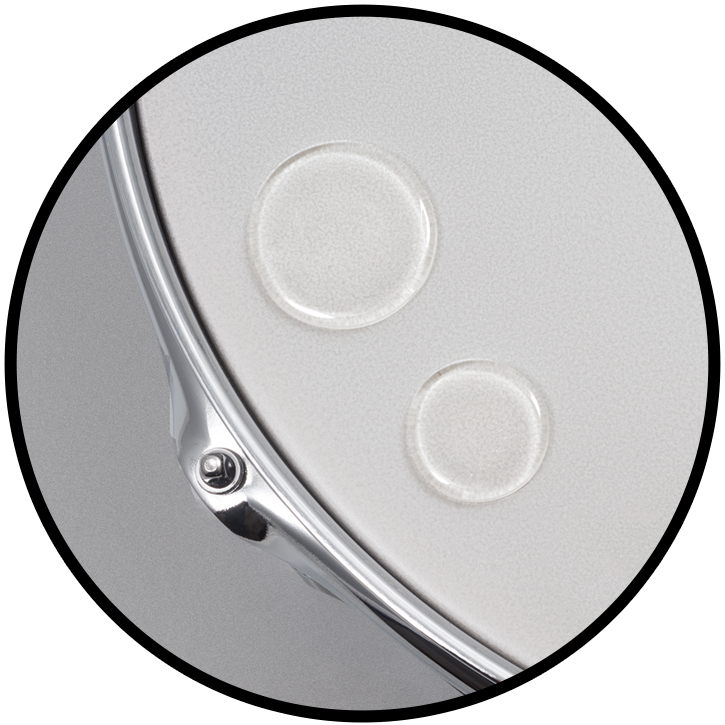 The circular design allows them to work with the shape of the drumhead so whatever frequencies they dampen are simply trimmed and not killed. 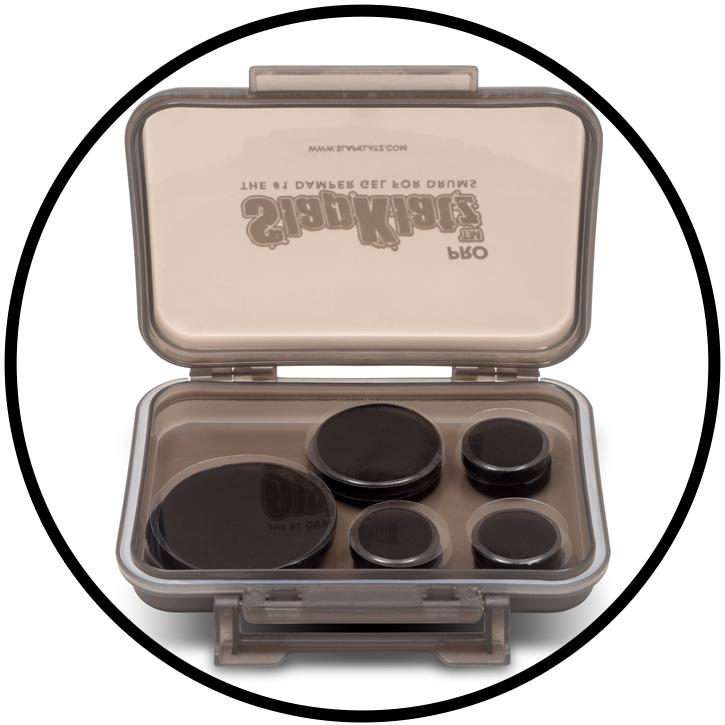 Being a professional drummer requires having gear and accessories you can rely on, and SlapKlatz do just that! They last a lot longer, and just make my drums sound better. Read more customer reviews for SlapKlatz PRO Clear here.